PHP scripts mall provides you retina-ready colorful Newsletter templates for your email marketing and it attracts as many as customers to drive more sales for you. 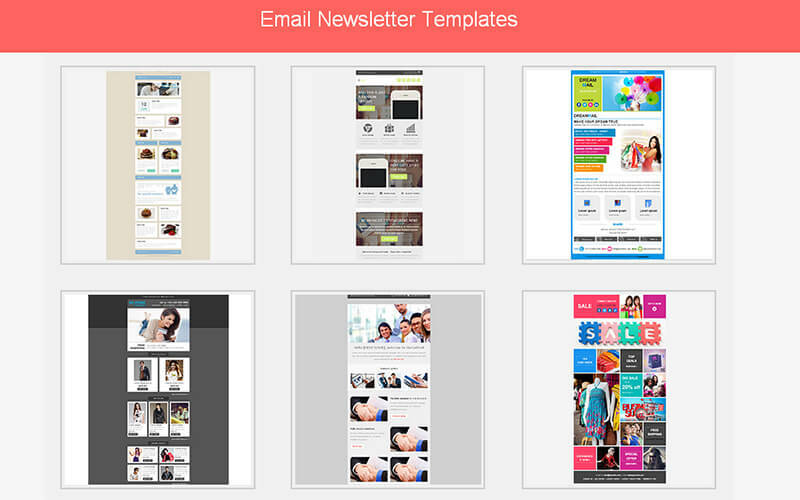 We offer six different kinds of newsletter templates for a genuine cost of 49 USD only. Email Newsletter Templates is suitable for all kinds of businesses and Email Template Design Themes is quick and easy to use these templates. You can preview each Bulk Email Template Design, download it and based on your interest try making some changes. Email Newsletter has responsive layouts and compatible with all browsers. Few month before only I bought this is script seriously am telling this template was such a marvelous design and customization was stunning definitely this template suitable for all kind business because they are providing many categories email template here after I can’t go to purchase anywhere PHP Scripts Mall is my one & Only choice who wish to develop in your business go to purchase this script. Thank you so much for this very well designed script. i like it and this script also worth for costing. It’s easu to use, well featured documented and flexible.